Designed to carry Civil War-era revolvers, quality reproduction of heavy duty, black leather with antique closure. Choose left or right hip from the drop-down list below, then click "Add to Cart". These quality, Civil War-style holsters are based on the original military issue pieces. Our reproductions are sturdy leather, made to fit Civil War-era Army and Navy replica pistols, and many other, similar models. 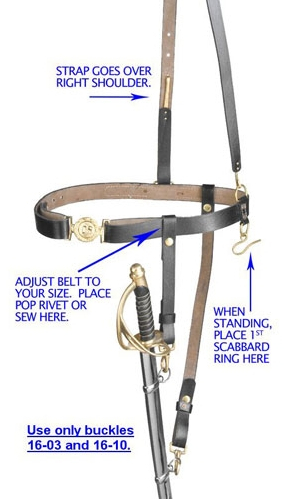 All are authentically designed with antique-style fastenings and hardware. 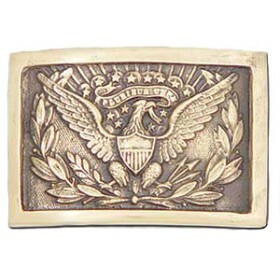 Buckles are sold with belt, holster, gun or sword purchase only. 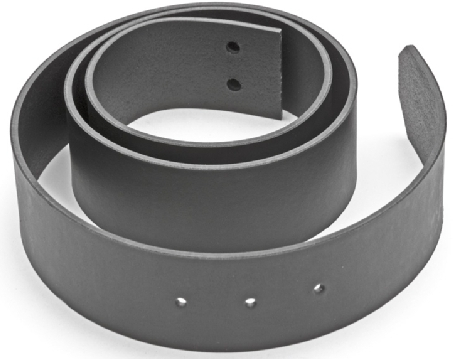 #16-08 -- Civil War Belt, black leather, 1.75" wide, 44" long (cut to your size). 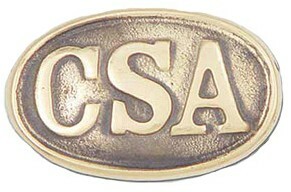 Use with CSA or Union Brass Buckles (see right). Shiny Brass, - fits our #16-A31 sword belt. Shiny Brass - fits our #16-A31 sword belt. 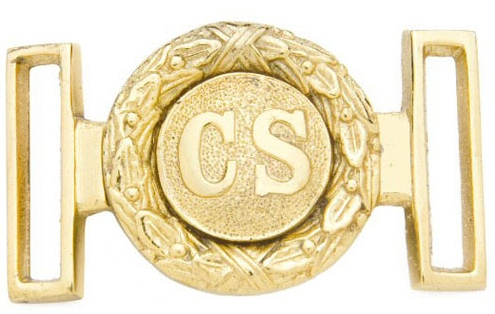 #ONC01 -- CSA Rectangular Buckle, solid brass. 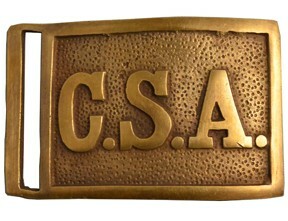 #16-06 Union & 16-06A CSA Enlisted Buckle, solid brass and lead filled with 3 clasp prongs on back. 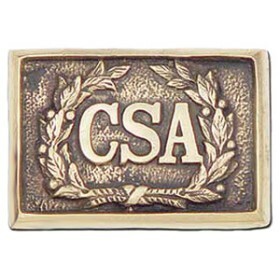 CSA Offier's Buckle, antiqued brass finish. #ONC06. 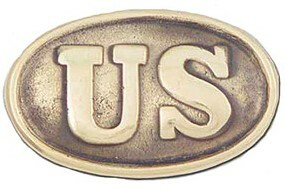 Union Offier's Buckle, antiqued brass finish. #ONC05. 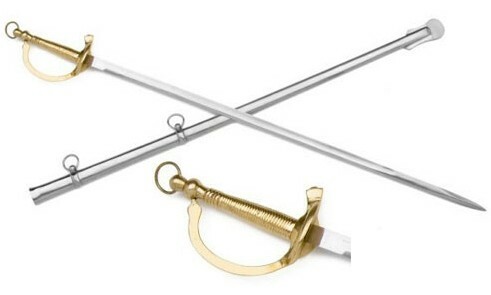 34" long carbon steel blade, brass handguard and pommel, steel scabbard with brass fittings. 36" curved blade of carbon steel, brass hilt with leather & brass wire wrapped grip, steel scab-bard with brass fittings. 40" long, richly engraved, slightly curved blade, inclu-ding the U.S. Insignia, leather grip is spiral wire bound, foliage designs cast into the brass handguard, steel scabbard w/brass fittings. Quality holster based on actual Confederate military issue, flap embossed with CS, oiled natural leather, fits Army, Navy, and similar Civil War-era pistols. To order, choose right (#OL7014R) or left (OL7014L) from the dropdown list, then click "add to cart". 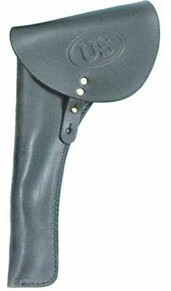 For this holster, If you want a holster for left-hand cross draw from the right hip, order the "left" holster. For cross-hand draw with right hand, order "right" holster. Use with #16-03 or #16-10 buckle above, or ONC21 at right. 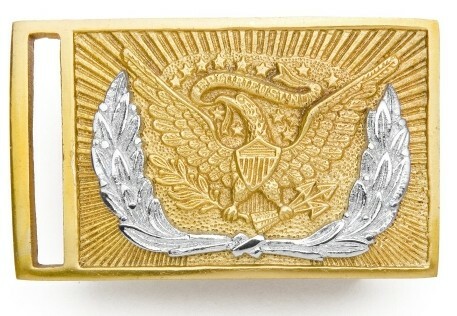 US Officer Sword Belt Buckle, #ONC21. 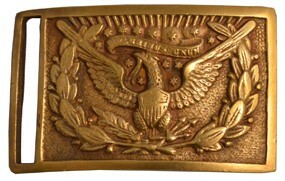 Quality holster based on actual Union military issue, flap embossed with US, black leather, fits Army, Navy, and similar Civil War-era pistols. To order, choose right (#OL7013R) or left (OL7013L) from the dropdown list, then click "add to cart". 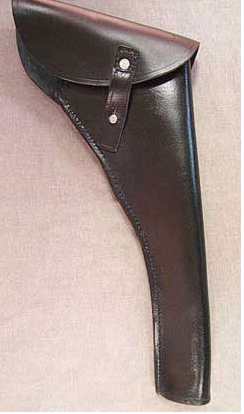 For this holster, If you want a holster for left-hand cross draw from the right hip, order the "left" holster. 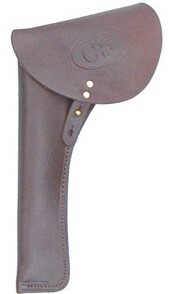 For cross-hand draw with right hand, order "right" holster.